No problem, we can help you! Enter the email address you used when you signed up, and we'll email you a link to reset your password. 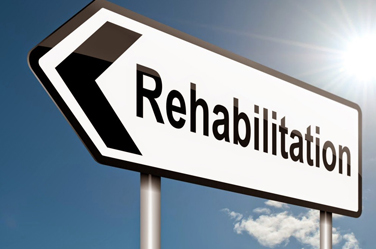 Rehabilitation is a process where people who running on the wrong path are brought to the right through socialization, awareness program, motivational and different kinds of vocational trainings. It enables in making them understand the value of his/her and other lives. They can understand the art living. It has been noticed that many people with disabilities are helpless. Their disability turned into incapacity, unemployment, social isolation and limit mobility create lots of problems for them. It can be minimized or reduced only through rehabilitation service. We invite psychologists and psychiatrists who deliver several lecture on social security, how to learn to earn money. How can enjoy your life independently? These professionals also give lecture on how to survive in the society or enjoy quality of life. We are trying to collaborate with several industries and their leaders so that they can help in moving forward. It is our endeavor to arrange vocation training for disabled person. These vocational training will be arranged and organized as per their caliber so that they can easily and smoothly perform their duty and enjoy their lives in the fullest way. B-33, Vipin Garden, New Delhi 110069, India. Copyright @ Rehab Network 2016, All Rights Reserved.